East Bay, Parker Point. That seems to be the new hotspot on the grounds. 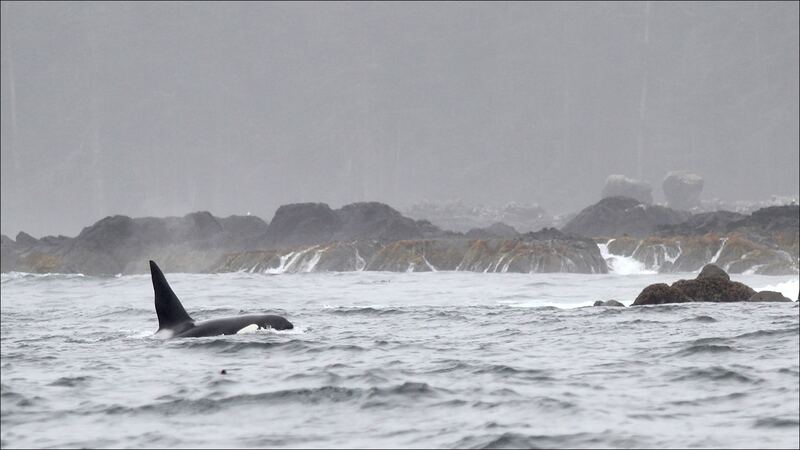 The waters between Parker Point and Bird Rock One have produced consistently over the past few weeks. Rennie M, fishing with guide Jeff Smurfit, became the newest member of the QCL 50 Pounder Club last night, with a beautiful big Chinook that taped out to 55 pounds. Congratulations Rennie, and well done. 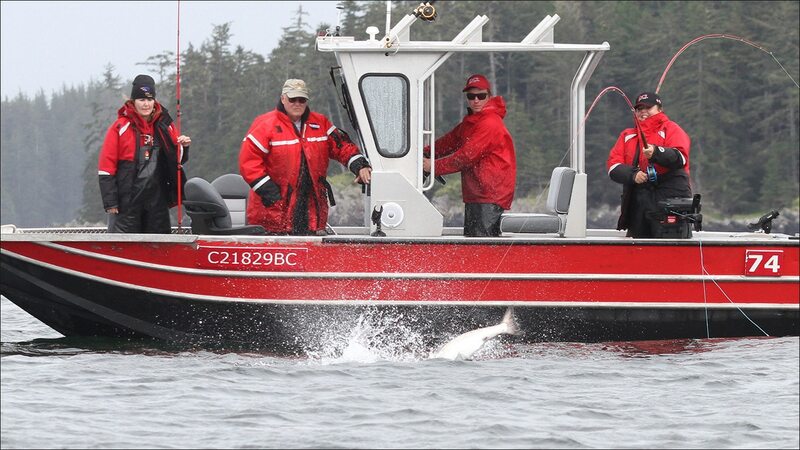 Likewise Norm C, fishing with his guide Lance Mercer, joined the Club, boating a stunning 51 Tyee on the weekend. Great job guys! 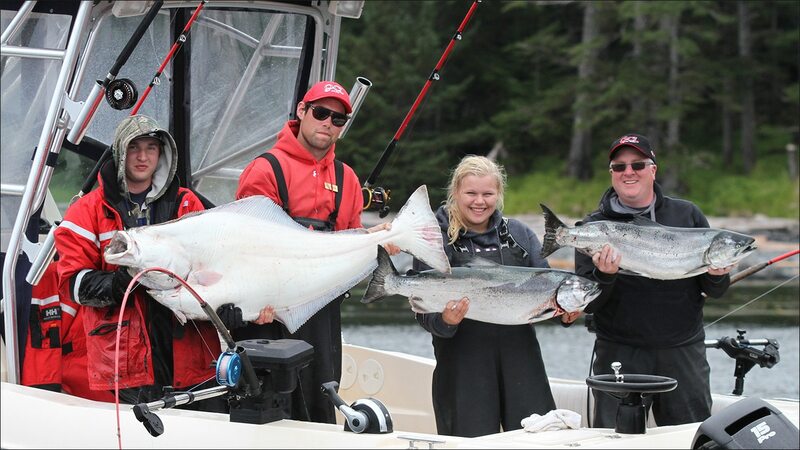 For mid August, the Chinook fishing remains very steady, with typical periods of high and low activity. The Tyee bell is getting steady action and there’s lots of celebration down at the Bell Ringer every night. The Huber brothers continued their annual Tyee tournament with each releasing several Tyees during the weekend and Conrad regaining his title by releasing a 45 pounder on Saturday morning. The Coho Salmon remain a bit of a mystery, widely distributed throughout the grounds with no heavy concentrations of fish anywhere. We are getting Cohos but we’re not throwing very many back! It will be interesting to see if larger numbers of Coho show up in the remaining 2-½ weeks of the season. Flat calm water on Sunday opened up plenty of opportunity for halibut anglers to get some nice fish to take home. We haven’t seen a lot of huge ones lately but Eric L released a 90 pounder on Sunday and Adam D came back to the Bell Ringer with a 132 cm “over” last night that weighed out at 65 pounds. Of course there are lots of nice “chickens” out there that are perfect-sized for the table! While moderate west to northwesterly winds will continue through Friday the winds will shift on Saturday and Sunday to moderate southwesterly, leaving beautiful flat seas (typically with cloud and showers) for QCL anglers to explore!